Imagine you sat on the board of a company that was acquired. Now let’s say a year later, you’ve been notified that you are being sued for actions you took on behalf of the company before it was acquired. Of course, your company stopped paying annual premiums to place D&O insurance after it was acquired. Now, in the face of litigation, you and the other directors and officers (Ds and Os) are at serious risk. In my last post, I talked about ways that Ds and Os can mitigate their risk during the sale of a company, including tips for running an effective sales process and documenting the same so that the deal holds up in litigation. Another part of risk mitigation for Ds and Os is making sure—well before any hint of M&A is on the horizon—that the company’s D&O insurance policy is state of the art. The better the policy, the more likely it will respond as anticipated to suits that arise in the M&A context. 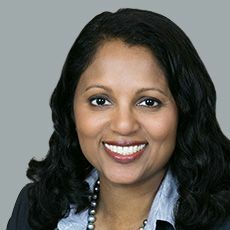 Unfortunately, the completion of an M&A deal doesn’t protect you from the possibility of future litigation against Ds and Os of the acquired company. In this post, I’ll focus on what’s known as a “run-off” or “tail policy” – the extension of directors and officers liability insurance policy for a specified period past the normal expiration date. Ideally, the acquiring company also assumed the selling company’s indemnification agreements with its Ds and Os. Whether it did or not, however, the selling company will also want to have purchased a tail policy. What is a Tail Policy? In M&A, the D&O insurance policy that responds to a claim is the policy that is in place at the time the claim is made. So, for example, if in 2014 a set of actions took place that is later challenged in 2015, it’s the 2015 policy that would respond, assuming you still have an active insurance policy in place. This is where a D&O tail policy is crucial. A tail policy covers what would otherwise be a gap in coverage for Ds and Os after the sale of a company. The gap exists because the D&O policy of the acquiring company will typically not respond on behalf of the selling company’s Ds and Os for claims that arise post-closing that relate to pre-closing activities. When a tail policy is purchased, the insurance carrier for the selling company agrees to hold open the D&O insurance policy for a specified period of time past the policy’s normal expiration date. In the United States, six years is the standard. In other words, if a claim arises within six years after a company is sold, the selling company’s Ds and Os will be covered under their original D&O insurance policy. Another benefit of a tail policy is that it’s generally non-cancelable. This feature guarantees that the seller’s former directors and officers will not run the risk of the acquiring company’s cancelling the policy in order to get back the cash paid for the policy. Who Should Purchase the Tail Policy? Whether a company is public or private, it’s hard to imagine a scenario in which the selling company’s Ds and Os would not want a tail policy. This is obviously the case if the acquiring company refuses to assume the selling company’s D&O indemnification agreements. It’s also the case even if the acquiring company assumes all the selling company indemnification agreements. Having a tail policy in place ensures that Ds and Os will be protected even if, at some future date, the acquiring company declines to protect them. This can be the case due to a dispute with the selling company, or due to the acquiring company’s own future bankruptcy. But tail policies cost money, and sometimes we see the acquiror attempting to avoid paying for that policy during M&A negotiations. In fact, buyers sometimes put a lot of pressure on the seller not to purchase a tail. The risk here is that the person negotiating on behalf of the seller may not understand the value of a tail policy. The board should be careful to communicate that the purchase of a 6-year tail policy is a non-negotiable point. Finally, given the personal interest the seller’s Ds and Os have in their tail policy, it’s generally a good idea for the selling company to be the one who places the tail policy. This allows the seller to use its own broker to place the tail. Sometimes the buyer’s broker wants to place the tail policy—after all, there’s usually a healthy commission associated with this placement. It’s important to remember, however, that it’s usually the placing broker who manages all future claims. Assuming that their broker is an expert, sellers usually feel more comfortable knowing that their future claims will be handled by a known quantity, and not some broker whose loyalty lies primarily with the buyer. When Should the Tail Be Purchased? Public companies will normally have D&O insurance policies in place already, and that policy is the one to which a tail will be attached. The tail is negotiated during the time between the signing and closing of the M&A deal, and it becomes effective at the closing. Many private companies do not carry D&O insurance, but then decide they want a tail policy when they are acquired. In the current market, this is not a good strategy. Right now, most carriers are only willing to provide D&O tail policies to companies that already have D&O insurance in place before a company has received an offer to buy it. There’s a question on the D&O policy application that asks whether or not M&A is on the horizon; if the answer is “yes,”, insurance carriers are likely to decline to issue a policy. This is a reaction to the sharp increase in M&A litigation that private companies have experienced in the last few years. The Expertise. Due to the changing nature of the D&O insurance market, even the most experienced M&A attorney could inadvertently draft terms in the sale agreement that could be problematic when it comes time to place a tail policy. Consider seeking out the expertise of those who deal with M&A insurance issues as a core discipline to ensure the draft agreement contains language that is both accurate and realistic. The Premium. Most tail policies are placed with the a company’s current carriers, and that this is the preferred route for a number of reasons. Still, your broker should be able to do a market check of the premium for you. You want to avoid a situation where you might pay above-market. This can happen if there is no chance of competition between carriers for the tail policy. It’s also not a good idea to publish an overly generous D&O tail budget in a public document like the company’s sale and purchase agreement; this could lead to the insurance carrier using the top of the range as the price to quote. The Continuity. 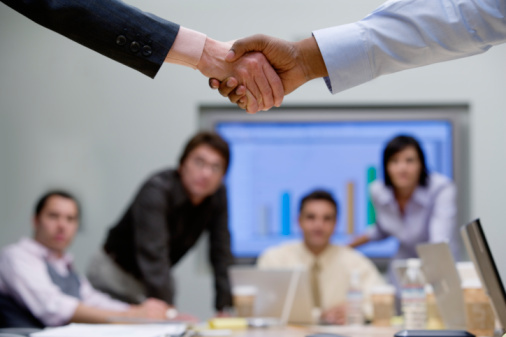 Continuity of coverage is always important in D&O policies, and especially during M&A. The best way to ensure continuity is to place tail coverage with the current insurance carrier. A skilled insurance broker could place a tail with a new carrier, but first should consider: a) the policy’s prior acts and prior notice language; b) whether a warranty statement is required; and c) whether a specific claim exclusion or prior litigation exclusion is added to the tail policy. The Exclusions. The “insured versus insured” (or “entity versus insured”) exclusion is typically part of the D&O policy. As a result, there is no insurance coverage when one insured (an individual, or the corporate entity as the case may be) sues the other. In the context of M&A, it’s important to review this exclusion to ensure the D&O policy will not exclude claims brought by the acquiring company against the selling company’s directors and officers. The Litigation. Litigation could negatively impact a tail policy. If there is open litigation at a company pre-close, a new aggregate limit of liability should be placed wherever possible, as opposed to extending the aggregate limit of the pre-close insurance program. The Sharing Limits. D&O policies generally include coverage for securities claims, where directors and officers share the collective limit of liability available under the policy. After a merger or acquisition, sharing limits may not be attractive. An experienced insurance broker should work with his or her client to ensure that all parties understand the strategic trade-offs that result from various tail policy structures. The Retentions. D&O policies contain certain retentions (aka deductibles) that apply, depending upon whether or not indemnification for the directors and officers is available. Deductibles are at $0 when indemnification is not available, but that figure can skyrocket if indemnification is available. In some cases, a tail policy can and should be amended to specifically address the retention as it relates to claims brought against the directors and officers post-acquisition. M&A is an exciting time for both buyers and sellers. 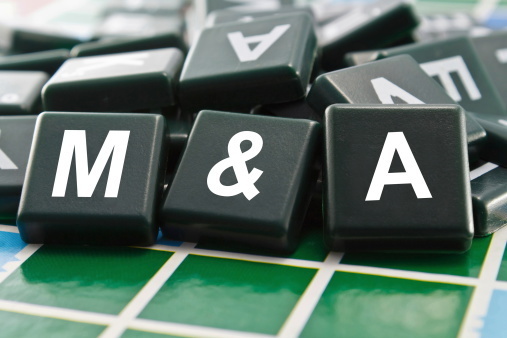 However, when the selling corporation has not done its due diligence to protect its Ds and Os as much as possible through the proper insurances, M&A can become a nightmare for prior board members long after the sale or merger has been completed. Taking the steps outlined in this post, however, can help to protect Ds and Os against post-closing suits that may arise against them. The views expressed in this blog are solely those of the author. This blog should not be taken as insurance or legal advice for your particular situation. Questions? Comments? Concerns? Email: phuskins@woodruffsawyer.com.